Never Give Up ~ Do Great Things ~ Eat Cultured FoodsMy New Book "Cultured Food in a Jar"! We went to a nut farm this weekend and found just about every kind of nut you could imagine. Nuts are prebiotic foods and your gut loves them. I love my kefir, but nut milks don’t always make thick and creamy kefir as much as cow’s milk — until now. I’ve had several people tell me that a particular brand of nut milk makes thick, delicious kefir and they were right! Most nut milk kefir separates into whey and curds and don’t look very appetizing. I make my own nut milk kefir that is thicker than most, but this new milk I’ve been using has made a thick curd almond kefir that looks and tastes like yummy Greek yogurt. This particular nut milk contains vegetarian pea protein. 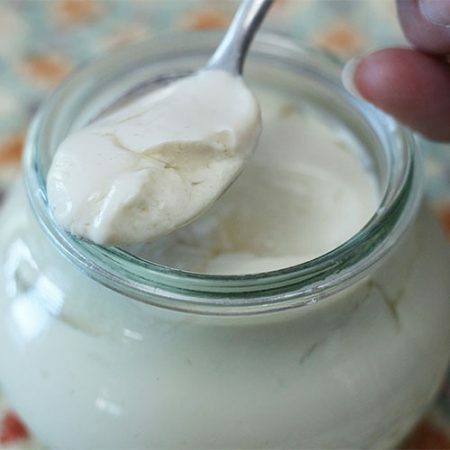 The result is a creamy curd-like kefir that is to die for. You can find this at your local health food store and some grocery stores. I’m experimenting with different nut milks and protein powders and so far it’s not working the same so I will keep you posted as I try and figure out what seems to make it thick. 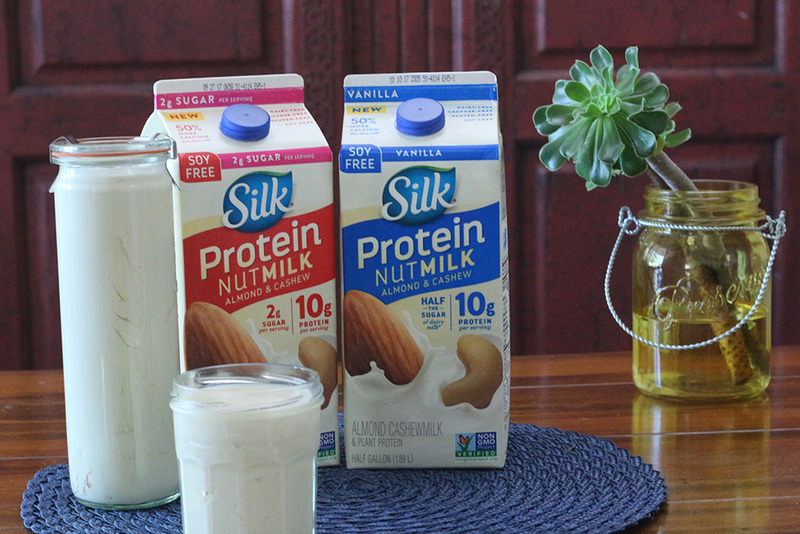 The brand is made by Silk and is nut milk made with Almonds and Cashews. They have two flavors – plain and vanilla. Both work and both have enough carbohydrates for the microbes to make kefir. Some nut milks don’t have enough carbohydrates for the microbes to have enough food to convert into probiotics so you have to add some sort of sugar, but these two do. Remember the carbs and sugar are not for you but rather for the microbes that need food to make into probiotics. It works best with Easy Kefir packages as it’s hard to separate the kefir grains from the thick curd that occurs, but I’m still working and experimenting with it so stay tuned. We found another non dairy milk that works well too. 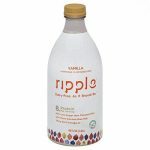 Ripple Milk is made with Pea Protein that will give you a thicker non dairy kefir that is fun and delicious too! 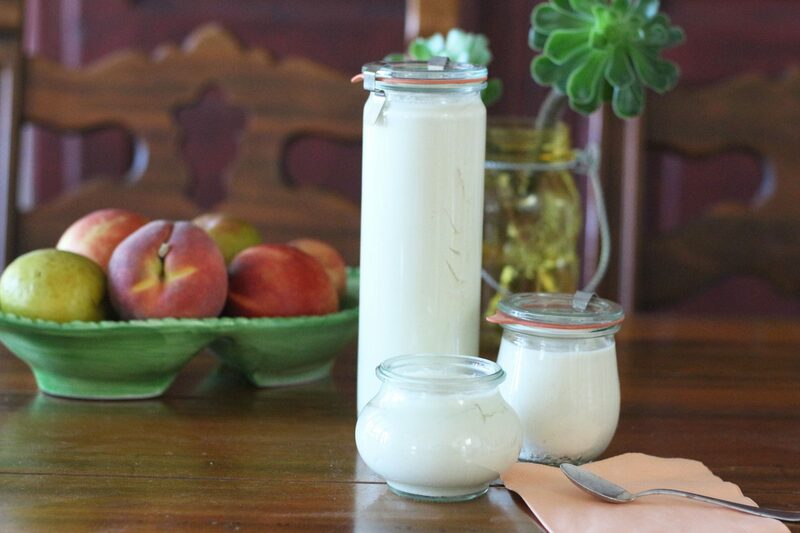 Check out the Article — Reasons to Love Almond Kefir. Cashews are ripe with proanthocyanidins, a class of flavanols that will actually starve tumors and stop cancer cells from dividing. They’re also abundant in essential minerals, especially manganese, potassium, copper, iron, magnesium, zinc, and selenium. Plus, they taste delicious and they’re my husband’s favorite nut (besides me!). 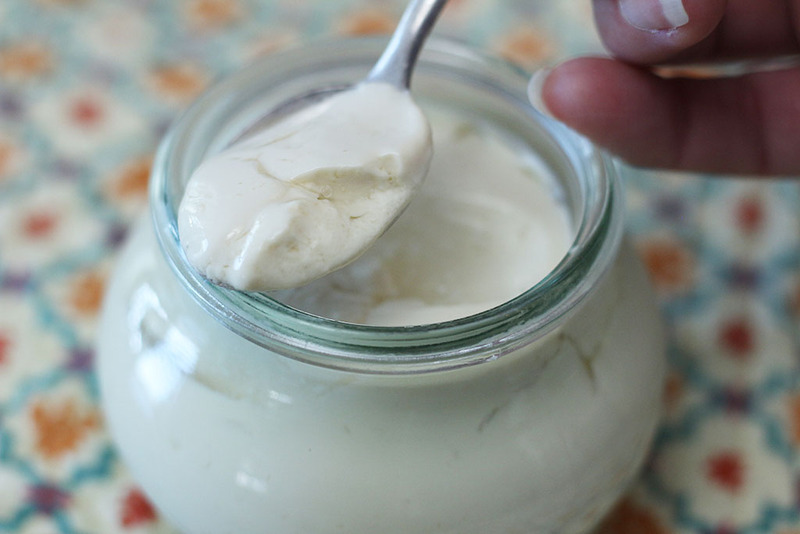 Make cashews into kefir and you’ll have probiotics and a delicious yummy kefir. 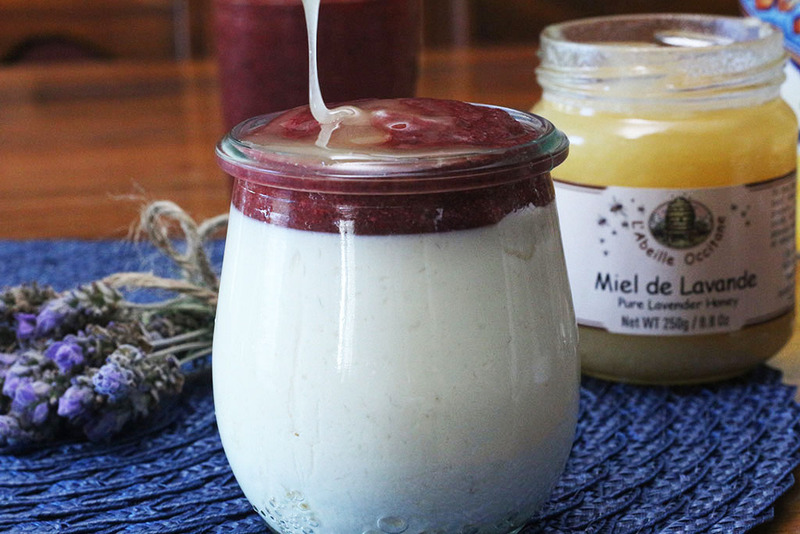 So here is the answer I’ve been searching for regarding how to make thick almond milk kefir that looks like yogurt – but has all the benefits of kefir. There are 50+ good bacteria in kefir while only 3-7 in yogurt, so kefir is by far superior. Big thanks to the callers on my radio show and people who emailed me about this special milk and how it can make thick kefir. I love having a community of people where we all encourage and help each other. It’s the way I always thought and hoped it would be. Check out the recipe, you’re gonna love it so very much . . . just you wait and see.